We started and ended our New England adventure at Logan where water surrounds the greater Boston area. It was odd to have the ocean so near yet not be aware of its presence, it’s scent. 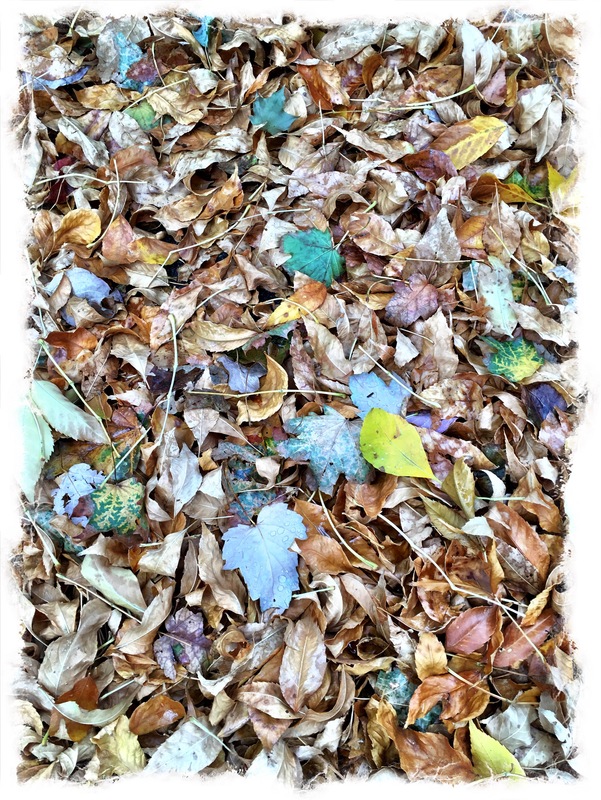 But the leaves left me longing for more. 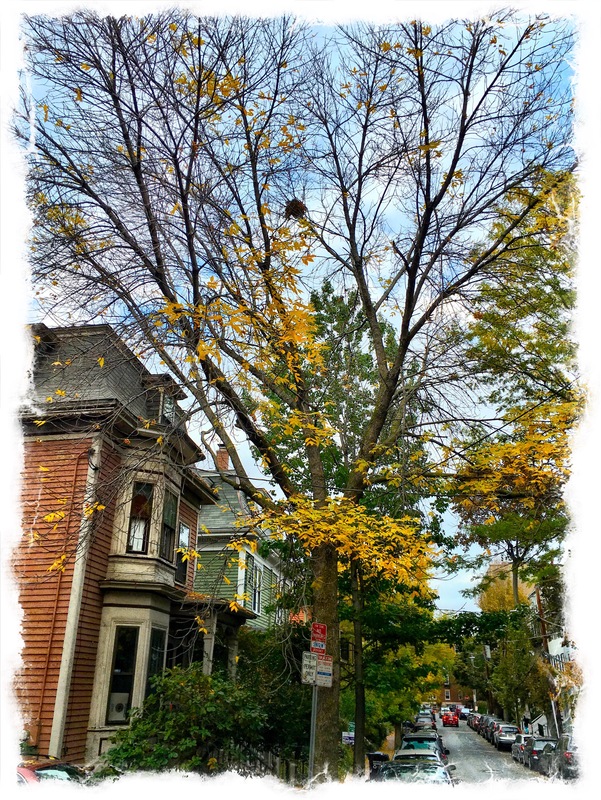 The stately yellow tree on Letti and Dan’s quiet little Cambridge street was my favorite. It must have peaked the week we arrived. In the early morning light it simply glowed. 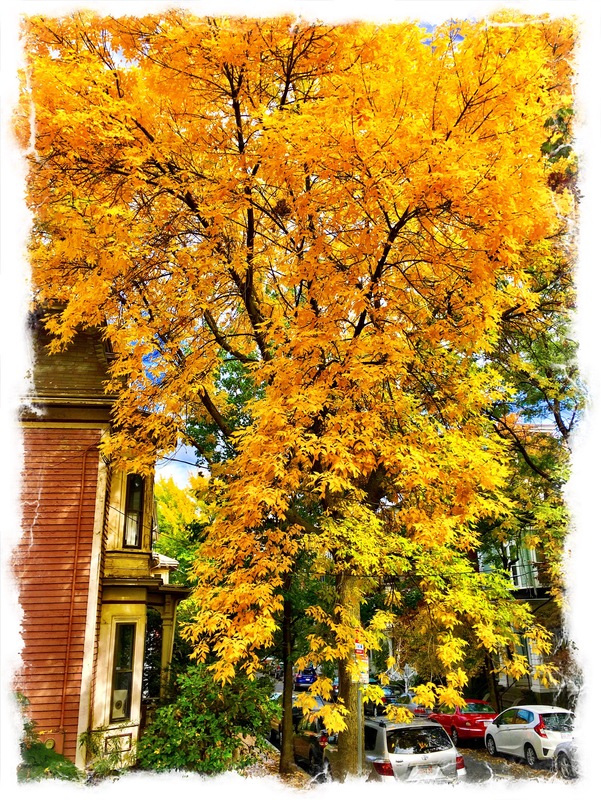 One windy afternoon we returned to find the street littered bright yellow. 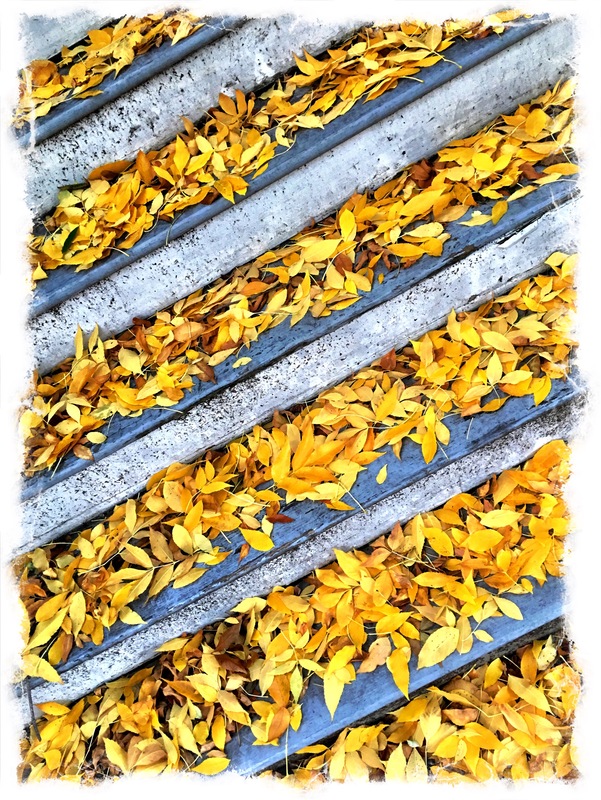 The stairs to our neighbor’s porch wore a fresh dressing from the fallen leaves. Returning from a week in Maine where I found flannel-lined jeans and an extra thick beanie my best friends we found our tree quite barren. The wind and chill had shaken the color right out of the hood. The final image hints at winter with blues and cool pastels. We’re headed for warmth and paddle boarding in the Florida Mangroves.